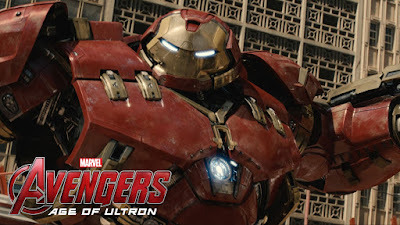 Without a doubt one of the most anticipated movies of 2015, 'Avengers: Age of Ultron' has a lot to live up to after the crazy box office and critical success that its predecessor 'The Avengers' from 2012 was. And let's not forget the fact that it not only has to continue the story set up by the other films in the Marvel Cinematic Universe, it also has to set up future installments of the franchise while also juggling a dozen characters, establish new characters and at the same time tell a coherent story. So what has the great mind of Joss Whedon cooked up for us this time? Before diving into 'Age of Ultron' I think its important to note that while I really enjoyed the first Avengers movie - I was not the biggest fan of it. Sure nobody can say it was not one of the most enjoyable films of 2012 and does not deserve all the high praises and the success at the box office. My problems with the film are things I have not seen many people talk about. One of the few issues Joss Whedon has as a writer is that when he writes dialogue for characters - every single character is the wittiest person on the planet. Yes he knows every character like the back of his hand but every one of them always have a really clever and witty comeback whenever they are in an argument with each other. What also surprised me with 'The Avengers' compared to his other work is that whenever these characters are in an argument - the logic seems to get lost. An example for this is Captain America intervening the Iron Man and Thor fight in the forest and he tells Thor to put the hammer down. What follows is Thor responding in anger "You want me to put the hammer down!?" and he proceeds to smash Iron Man away with the hammer and then charge towards the Captain with the clear intention of turning him into Swiss cheese. Now this may not seem that bad for the audience because we of course know who Captain America is and how powerful his shield is. The problem is - Thor does not know that. He does not know who Captain America is (and if he did, how and when?) so the only way we can interpret Thor's actions is that he genuinely wanted to kill him for trying to stop him pointlessly fighting Iron Man. Thor wanted to kill a member of the race he keeps saying he wants nothing but peace with. The lack of logic whenever there is obvious fan-service scenes happening are things that I cannot overlook. Of course those are not the only problems I have but seeing as this is not a review of 'The Avengers' I will not spend more time on it. 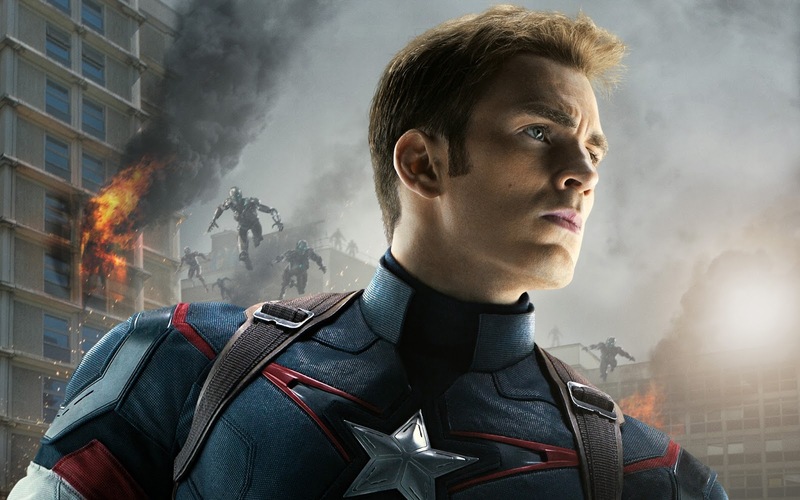 What about 'Avengers: Age of Ultron'? The movie wastes no time and dives right into an action sequence with all the avengers trying to retrieve Loki's scepter and wiping out the last few Hydra forces out there. This is of course accomplished and Tony finds out that by using the scepter's technology him and Banner could move along with the Ultron programme (no you are not an idiot for not remembering the Ultron programme because this is the first time it is mentioned). What the Ultron programme basically is is a way to defend the earth from possible alien invasions because Tony fears that the avengers will not be enough after what he saw at the end of 'The Avengers'. What then happens is Ultron comes alive during their party and after scanning through the internet he finds the only logical solution to protecting the earth is to wipe out all the humans. As far as a Marvel Studios story's go - this falls right in line with most of the other ones. A MacGuffin wants to destroy all of mankind, the difference here is that it is at least not an object that a bad guy wants in order to either destroy or take over the world/universe. Instead it iss Ultron who has a different view on what is destroying the earth than Tony does which could have made for some very interesting commentary on what we do with the planet. I say could because one of the biggest problems with the film is that it does not spend enough time with the themes and plot points it is trying to get across. Also the relationship between Ultron and Tony Stark could have made for a very interesting dynamic between the two as Ultron is essentially Tony's baby but it does not get much of pay-off. The best thing about the film is (no surprise) the main characters and their interaction with one another. Every one of them is great here as usual but the standout has to be Mark Ruffalo as Bruce Banner. Him and Tony Stark were so good together in the last film (my favorite scenes in that one were the ones when it was just those two talking) that I felt rather disappointed that we did not get a whole lot more of just those two during the creation of Ultron as most of it is shown in a one-shot montage. Yes this is a personal pet-peeve of mine that does not in any way alter my overall opinion of the film. In fact Bruce Banner in general was my favorite character in the movie, in the middle of all these big personalities is this guy who is generally just a normal bloke (a part from being a genius and turning into a big green rage monster when he gets angry). When Natasha flirts with him in the party scene he acts like a normal person and does not really know what to do. There is a bit of a romance between him and her in the film which would totally come out of nowhere if it was not for the fact that Joss Whedon is such a good writer, he manages to organically ease it into the film without it feeling very forced as I feel most other writers would fail in doing. I do think though that the romantic vibe between them should have been set up in an earlier film. 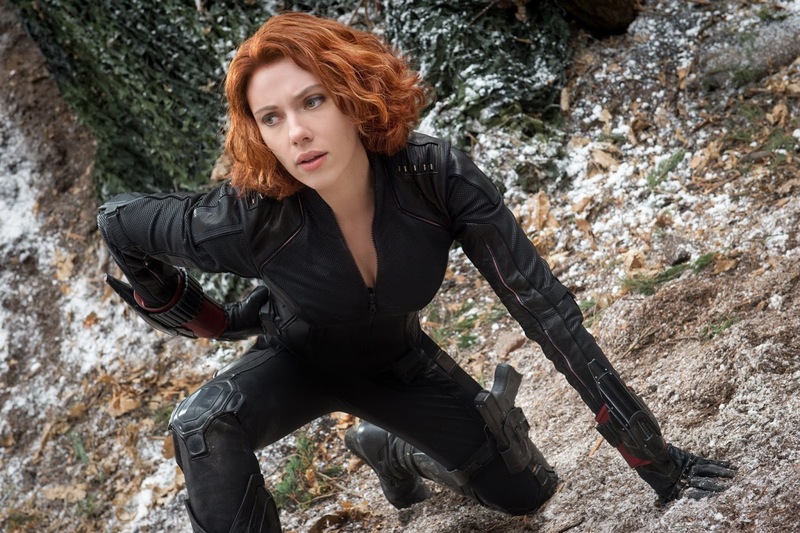 In fact one of my complaints about 'Captain America: The Winter Soldier' was that Bruce Banner did not show up to help his fellow avenger when he was very publicly going through what he went through and now I feel Bruce definitely should have shown up in that film because it would have allowed the romance to be set up earlier than not at all seeing as Natasha was such a big part of that film too (I'm only mentioning about putting Bruce in one of the other avenger's movies because Marvel does not seem to want to make another Hulk movie). One of the weaker aspects in the technical aspect is the soundtrack by Brian Tyler and Danny Elfman. The only stand-out moments are when the original Avengers motif by Alan Silvestri suddenly kicks in. The rest is a little by the numbers and nothing memorable. 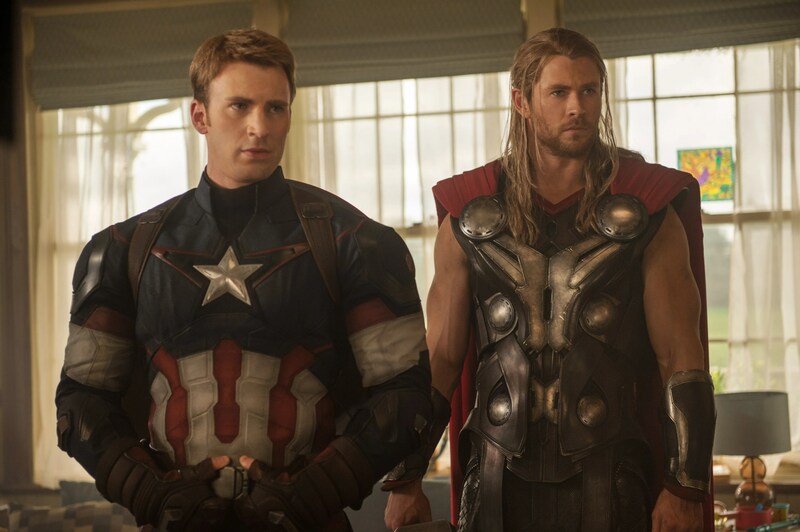 A problem I had with 'The Avengers' was that the direction sometimes felt like TV and it is once again present in 'Age of Ultron'. I don't know why but a lot of times (dialogue scenes mostly) it feels like Whedon has a limited sense of visual expression - like something you would see on Television. It is surprising to me because I felt that Joss Whedon's other movie 'Serenity' pulled off the visual expression for a movie great but then again I cannot put all the blame on just the directing that made me feel this way while watching 'Age of Ultron', I would also have to put some of it on the editing because never has it been more obvious for a Marvel movie than in this one that a lot of scenes have been cut. Remember how 'Iron Man 3' ended with Tony Stark blowing up all his suits as a visual indication that he will stop being Iron Man? Well 'Avengers: Age of Ultron' abandons this arc without even being addressed. As seen in the trailer at one point in the movie Thor takes a bath in some cave and a lot of the shots shown in the trailer were not present in the final film. What this ultimately means for the film is what I said earlier; the pacing is a bit of a mess, some scenes are too rushed and others are not long enough. Joss once said that this movie was going to focus a lot more on the women than 'The Avengers' did, in fact he said there were going to be four prominent female roles in the film and a more balanced presence throughout the movie (source)... so where were they? We are introduced to Scarlet Witch but... who else? Maria Hill? Well she was barely in the film and none of the scenes she where in had her as the center point. We did get other female characters like Hawkeye's wife but she did not really do that much either... There was a Korean doctor in the film too be she also did not get that much to do... what happened? There have been talks of an extended version being released on DVD/Blu-Ray and to be completely honest I would really be looking forward to seeing it because I really want to find out if this is really a masterpiece in disguise because the version released in the cinemas comes across as a shell of a fantastic movie. As for now though, 'Avengers: Age of Ultron' is merely a good movie that has some moments of absolute greatness but most of the time it is bogged down in juggling to many things at once which is a shame seeing as this is supposedly Joss Whedon's final film for the Marvel Cinematic Universe.